• Closest game park to Kilimanjaro with possibility of seeing elephant, giraffe, buffalo, hippo, zebra, monkeys, and more! • Beautiful walking from plains into forest and lower slopes of Mount Meru, with views of majestic Kilimanjaro. • Full day safari possible with evening departure from Kilimanjaro International Airport. 27 Aug: Depart early morning from Mbahe and head east to Arusha National Park, a unique park with a surprising range of wildlife habitats in close proximity. 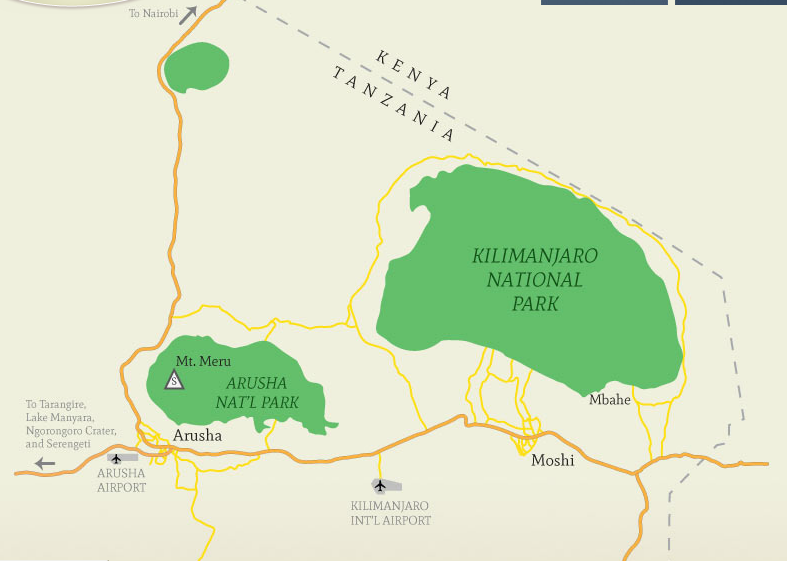 The park has three distinct areas: Ngurdoto Crater, Momella Lakes, and Mount Meru (elev. 14,980 feet). Ngurdoto, just 3 kilometers across, supports abundant wildlife which can be seen from the many viewing spots on its rim. Momella Lakes are a series of alkaline spring-fed lakes with a large variety of waterfowl and where hippos may be seen. Day safari includes unlimited game drives throughout the park, picnic lunch, and a hike through the plains and forest on the lower flanks of Meru. Park fees and unlimited game drives in fully-equipped 4WD safari vehicle with pop-top. Dinner; cold beverages and alcohol; activities on safari that require additional charges; gratuities to trip leaders, guides, drivers, crew, or other staff; international airfare; airport departure taxes; additional accommodations made necessary by airline schedule changes or other factors; pre-trip expenses such as immunizations, travel insurance, passports, and visas; and any expenses of a personal nature, such as souvenirs and laundry.